Big fat debate in NZ 2/2 – what does the evidence say? Just to sum up where we (and the others) are at, I’ve paraphrased the main arguments with counter points below. We would respond that in the short and medium term LCHF is at least equivalent to the best other approaches (non-inferiority) and for some sub groups – like the insulin resistant it is superior. Long term RCTs are unlikely to ever be done, but anthropology suggests this approach is healthful in the context of whole foods. The epidemiology is limited because the questions around high fat intake in the context of equal (and adequate/moderate) protein and replacement of carbohydrate with extra fat haven’t been asked, but could be answered with more subtle analysis (see below in discussion of meta-analyses). We also maintain that the burden of proof in a diet that is superior on every metabolic measure to the current best practice, with no evidence of harm is not to have 40 year mortality data. By their own arguments, (Te Morenga last week “RCTs shouldn’t be used in nutrition research because long term adherence is low”). We don’t agree that RCTs are suddenly out (just because they keep looking good for LCHF?) but do agree that the 40 year LCHF RCT will never get done. If risk factors mean as much as the experts say they do, then the experts need to explain how the improvements in risk factors seen on various LCHF diets are predicting future harm. We respond – since when is science a democracy? Plausible hypotheses are fair game for public discussion, especially in the face of good evidence and substantial and unresolved public health issues. This is just old school ivory tower stuff. They’ll also argue that others aren’t qualified to talk about food. The meta-analyses are very clear that SFA is dangerous and causes CVD. These are studies that combine all of the available high quality evidence. In support of the saturated fat hypothesis, they will quote the Hooper et al Cochrane review of 48 randomized controlled trials, and usually another of a pooled analysis of 11 cohort studies by Jakobsen et al. Both show effects of substituting polyunsaturated fats for SFA on CVD mortality. That sounds like good evidence, but in context they also show no evidence of any effect of the same thing on overall mortality (usually claiming the studies are underpowered to detect this – although if somehow this were true, and we are missing an effect it must be very small because the risks are close to 1.0 and the CIs up to +/-0.1. In other words, people still die on the same day but from something else presumably. Second, the Hooper et al analyses showed no benefit for substituting carbs for SFA. The Jakobsen et al analysis showed a small harm. So I assume you can use the reverse logic and say there is no harm or possibly a small benefit in adding extra SFA to replace carbs? No study showed any effect of total fat. Interesting as the nutrition guidelines for almost every developed country emphasis lean and low fat products. Most important, they also never asked the most important question which is “what happens if you hold SFA constant and replace carbs with other (mono or poly) fats?”. The logic of this question in context is crucial. I say this because the analyses are biased towards finding an effect of reducing SFA when in fact any effect could be extra fat from polyunsaturated fatty acids (many of which are essential). 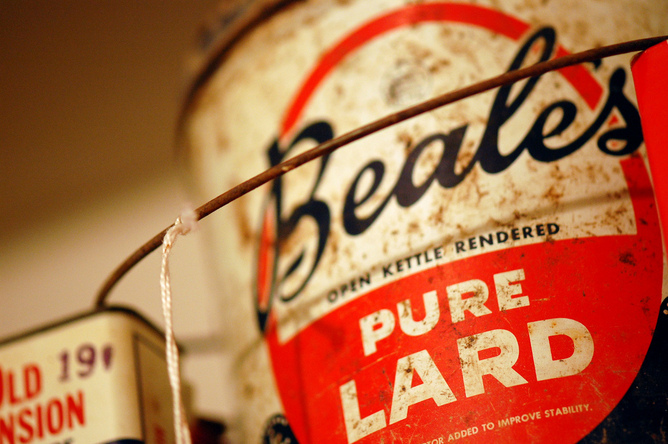 There could be deficiencies in these fats or other mechanisms we do not yet know about. There is no way of having a totality of evidence without answering this question. They also showed that the protective effect of the polyunsaturates did not significantly increase above 5% of energy (meta-analysis shows this effect is stronger for n-3 plus n-6 than for a preponderance of n-6m – Skeaff and Miller, 2009). This is important and it is supportive of a more parsimonious hypothesis – that the small increases in polyunsaturated fats are the protective mechanism not the displacement of the saturated fats. It’s a small cohort study, but they at least asked the obvious question. BTW, there are numerous other meta-analyses showing no effects whatsoever in the saturated fats. But there are arguments about funding, conflicts, analysis techniques and much more. I have just pulled out the two quoted in support of reducing saturated fat. Professor Mann also asserts (at least he has twice in the media) that low carb high fat diets might be alright if you are highly active and burn lots of energy and you might get away with it (“Anyone trying these diets may well lose weight. Some might exercise like mad, get very lean and fit”). This of course, is ridiculous and I assume, this “fit and athlete” thing is a reaction against my and Tim Noakes’ backgrounds in the field of exercise science and human performance. It shows no understanding of the differential outcomes in LCHF diet studies for the high risk people who benefit – and do not in low fat diets. The people who stand to benefit the most health wise from a diet restricting carbs are the people who have least tolerance to processing and moving those carbs out of the blood stream – the insulin resistant population which is the bulk of the high risk groups. It includes everyone who has elevated blood sugars. I’d also include in this group those who have impaired insulin homeostasis but normal glucose response to carbs. The LDL cholesterol argument – that saturated fat raises LDL cholesterol and that is associated with higher CVD. A then B, B then C, therefore A causes C.
The data from the LCHF research doesn’t support this view. Feeding studies, RCTs and the mechanisms all support the idea that there are more nuanced explanations to understanding lipids and arteriosclerosis. Particle size, HDL and triglycerides are all part of this. Dietary carbs drive at least part of this process. The idea that most apparently healthy “wholegrain carbs” are nothing more than a bag of glucose, especially if you are insulin resistant seems to be an area of some common ground. Professor Mann’s assertion is that “most dietitians are telling people to eat whole grains, and most wholegrain breads are no better than a bag of glucose” EASD conference Europe last year, and that “Vogel’s bread doesn’t cut it as a whole grain” Listener this year are interesting – we agree of course, but then what is left in the supermarket –only All Bran cereal and that’s about it? In the end, what matters above all, is that the people who most need low carbohydrate, high fat diets have access to them. If this means using olive oil rather than coconut oil, we have no problems with this. The question about the health effects of saturated fat, although an important scientific question and undoubtedly a health and performance question in individual cases, is not as important in the public health context as the freedom to replace carbohydrates with good-quality fats when necessary. However we feel that giving people %E targets for saturated fat in a low-carbohydrate context is counterproductive. Advice to eat a variety of fatty foods including those low in saturated fat and high in MUFA and PUFA (chicken, fish, nuts, olive oil and so on) as well as some meat and dairy is effective in randomized controlled trials. Advice which revives fears about the macronutrient switch which is the whole point of the intervention – fats for carbs – is unlikely to improve results, whereas encouraging a healthy variety of foods will improve both compliance and overall nutrition. I think the biggest ‘trip-over’ is not having evidence of the effects of LCHF in the years to come. But lets see it this way – ever since we’ve had an increase carb intake thanks to Ancel Keys claiming that saturated fat was the problem, our obesity rates had gone off the roof. So, what else have we got to lose? If there’s current evidence out there that shows positive changes in people’s health and lifestyle, I think it only makes sense to try LCHF and try it out on yourself. I’m glad I did, and I don’t regret it one bit. If in 40 years time if I still manage to develop some kind of chronic disease or have any metabolic conditions due to LCHF, then so be it. With the current scientific evidence though, I really doubt it and I fully agree to the new research. Perhaps it might be some other disease emerging instead! I’m sure as hell not going back to high carb, low fat. I hate being sleepy and hungry the entire day and be a slave of food! The comment in the summing up “If this means using olive oil rather than coconut oil, we have no problems with this.” is that a cost consideration or do you think olive oil is preferable to coconut oil? I am a medical specialist (ICU and Anaesthesia) and have worked in cardiac anaesthesia since 1984. The cardiologists/nutritionists are claiming a lower incidence of Ischaemic Heart Disease (IHD)since the 1970s’ from low fat diets, when in fact they are using mortality data. This is blatantly incorrect and scientifically dishonest. If anything the incidence of IHD is rising but treatment with stents, anticoag drugs and other pharmaceuticals are responsible for the longer lifespans (or as others have said the decades of dying slowly that people now experience) The change in smoking habits during that period is probably the other key factor in survival both from cardiovascular disease and cancer. In addition there is a very significant population of obese insulin resistant patients who have never been investigated for IHD or other vascular disease. Their high sugar/carb/transfat diets are certainly not going to offer any protection against these diseases. Caloric restriction and a ‘normal’ diet with increased physical activity have also repeatedly been shown to have minimal effect in this group of patients. Only bariatric surgery produces significant improvement. However as a public health measure it is enormously expensive. The benefits and cost of a low carb, moderate to high fat diet for this population seem obvious to all but our ‘experts’! Just to add to that the Heart Foundation lists the incidence of IHD as rising and this paper from Auckland estimates 1 in 5 NZ (and they excluded higher risk Pacific Island and Maori subjects in their study) will need pharmacological intervention for IHD–so much for our declining prevalence of IHD!! produced population estimates of CVD prevalence and 5-year absolute CVD risk. 2005 based on 2001 New Zealand Census data. risk guidelines for the prevention of new or further CVD events. significant health-gains while reducing health disparities. About one million adults are now obese in New Zealand. Ministry of Health (2013) NZ Health Survey: Annual update 2012-2013. Wellington: Ministry of Health. Ministry of Health (2009) Implementing the ABC approch for Smoking Cessation. Framework and Work Programme. Wellington: Ministry of Health. World Health Organisation (2013) Women’s health fact sheet N334: World Health Organisation. Oestreicher Stock, E., Redberg, R. (2012) Cardiovascular disease in Women. Curr Probl Cardiol,37(11), 45-526. Just in case you missed it that is the same Prof Rod Jackson who in the above 2006 NZMJ paper highlights the very high prevalence of IHD–so what has the ‘healthy’ diet they support done for us over the last 3.5 decades?